Nutella semifreddo: for once, let’s not count the calories! If you like Nutella (even ten times less than I do) YOU HAVE TO TRY THIS DESSERT!!! I found the idea for this dessert on the web, I tried it and… Oh my! Super DUPER! It is a chocolate cookies, whipped cream & Nutella cake that takes not more than 20 minutes to make, and it tastes like a Gourmet Semifreddo of Nouvelle Cuisine! The texture of the chocolate cookies becomes velvety, and mixed with the taste of frozen whipped cream and Nutella, creates a heaven of goodness…. perfect for a special occasion and great for a yummy Memorial Day get-together with friends. 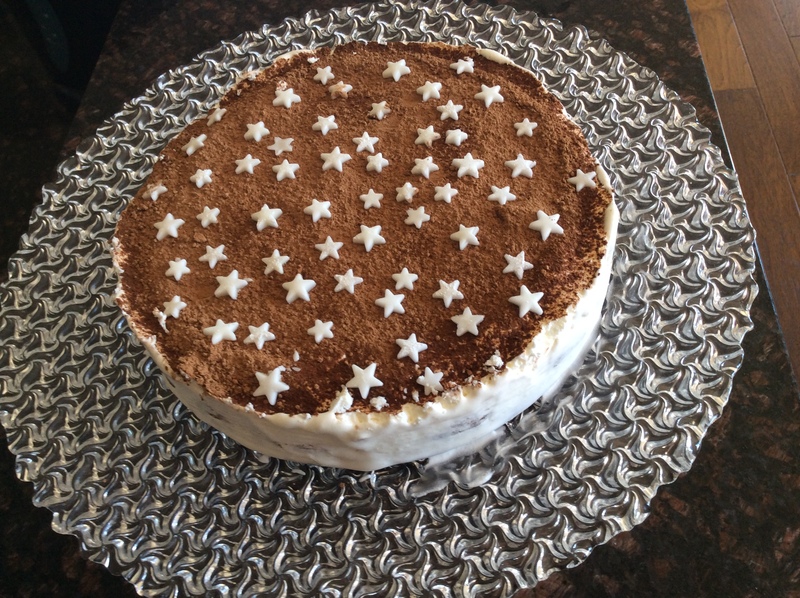 The only thing that I have to point out is that to make this cake I use an Italian brand of cookie (biscotti) called “PAN DI STELLE” (stars bread) that you can easily buy online, or substitute with any other chocolate cookies. Melt the nutella in a double boiler. In a separate bowl, whip the cream. Coat the bottom and the sides of the springform pan with whipped cream. Dip the cookies into the milk for about 15-20 seconds. The consistency of the dipped cookies should be wet enough to become soft, without causing it to crumble. Then arrange the soaked cookies over the whipped cream layer. Don’t worry about the esthetics of the cookies as you arrange them; they are going to be covered by Nutella. Be sure to fill every free spot with small/broken pieces. Now spread about half of your melted Nutella on top of the cookie layer. Make another layer of whipped cream. And another of cookies soaked in milk. And another layer of melted Nutella and finish by coating the cake with whipped cream. Put the cake in the freezer at least two hours. If you would like to make a nice presentation, before the cake thaws and with the help of a knife, take off the cake pan’s side, place on a pretty dish, frost the cake with whipped cream on all sides, and then dust the top with cocoa powder. Let the cake warm up at least 30 minutes before serving. < White Wine risotto (Risotto al vino bianco): simple and sophisticated!